The Century mine was one of the world’s biggest zinc mines until it ceased production in 2016. New Century has since committed to the mine’s economic rehabilitation. 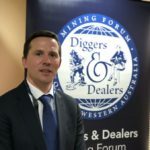 Company managing director Patrick Walta expressed the company’s ambition to be Australia’s chief mining rehabilitation company during the official reopening. He said, “New Century Resources is dedicated to implementing its economic mine rehabilitation strategy and to establishing a successful business that creates improved environmental outcomes and continued community benefits. Through the active involvement of the Waanyi-Downer joint venture (WDJV), maintenance works and training programs for local Indigenous people have been delivered for several years. The WDJV will undertake works associated with New Century’s insitu mineral resource at South Block. 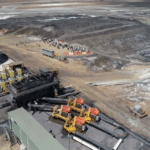 Phase one operations at the Century Mine are underway, including the mining and reprocessing of eight million tonnes per year (Mt/y) of tailings and production of zinc concentrate. 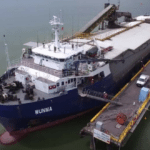 These products will be exported via New Century’s port facility at Karumba. 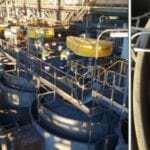 The company is ramping up its operations to 15Mt/y by the fourth quarter of 2019 by refurbishing its northern flotation train and adding supporting infrastructure at the mine.